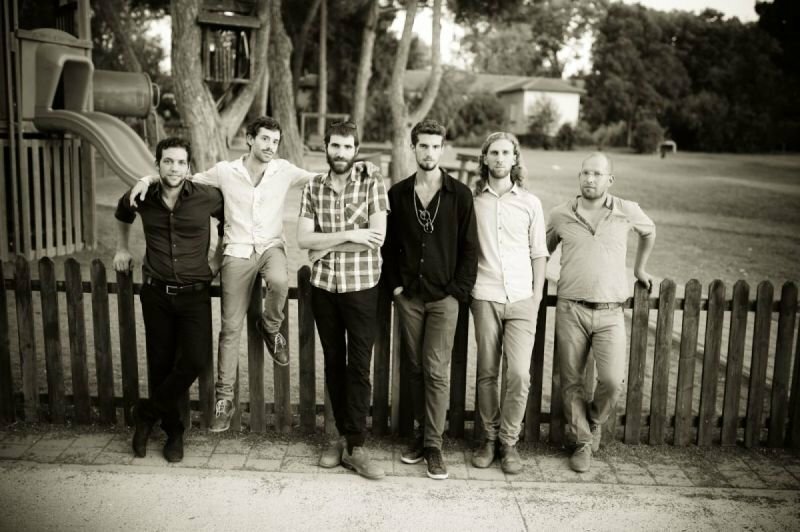 An Israeli based Ethno-Fusion group, creates soulful music full of groove, humor and passion. With elaborate, twisting melodies and Mediterranean rhythms, the band presents a colorful mosaic of original recollections and experiences acquired in their travels around the Mediterranean, the Balkans, India and Eastern Europe. Blending traditional and modern instruments, Gute-Gute’s sound is a mix of east and west with a universal message of coexistence, joy and good vibrations. The group based in Abu-Gosh, an Israeli-Arab village in Judean Mountains. 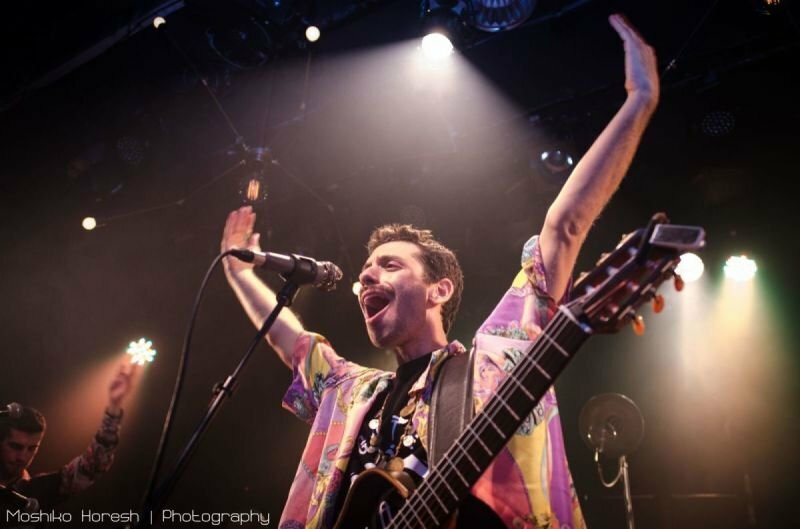 The band was founded in 2009 by Aviv Kest (Guitar, Bouzouki and Vocals), Amitai Mann (Clarinet, Gaida and Vocals) and Yehuda Levavi (Contrabass and Vocals) . Shortley after they were then joined by Gershon Lizerson (Violin), Yanush Horowitz (accordion & synth), Meidad Cohen (electric bass) and Meir Yaniger (Drums and Percussion). 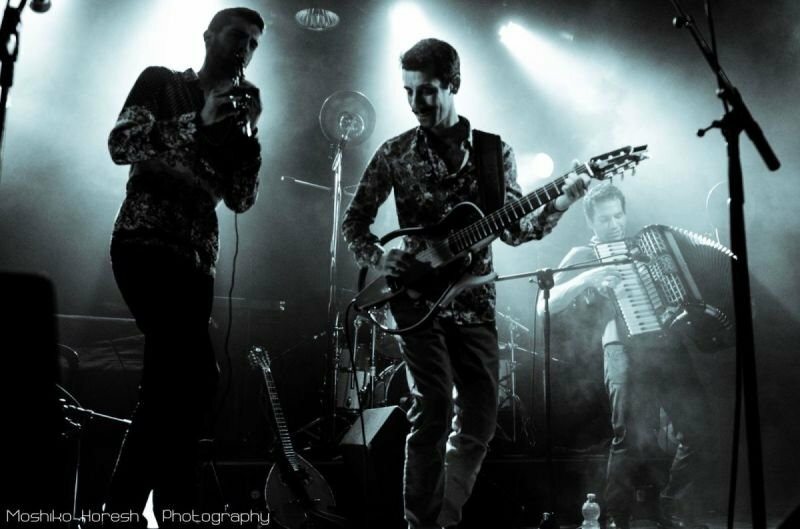 Gute-Gute released their debut album in October 2017 produced with Zohar Sharon (the Revolution Orchestra) and Ben Spektor. It is a culmination of the band’s diverse musical journey, combining instrumental compositions with expressive, poignant songs and texts. The CD available in all digital shops and distributed physically in many countries independently. Listen to the album online here! 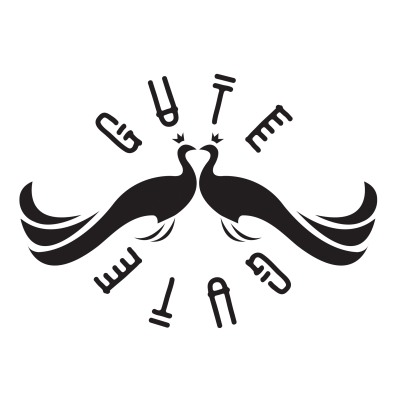 Gute-Gute was founded as a creative outlet for genuine Indie - Ethnic music that grows out of a community. The vibrant energy and infectious joy which their music brings to the dance floor finds expression also on the concert stage. At concerts, Gute-Gute’s music carries the audience with the ecstasy of its rhythms, its surprising melodies, and the bursting energy of its members.